Are You a Hands-On or Hands-Off Investor? Choosing your investment options in a 401(k) or IRA can be a challenge. This is because we do not all possess the investing knowledge and confidence to make an informed decision and the investing process itself can be emotional and test our own resolve during good and bad times. Contributing to retirement accounts is an important step but isn’t the only step of the retirement planning process. Saving for retirement may not be enough if you aren’t investing in the right types of investments based on your goals and time horizon. An appropriate level of desired growth and income is needed and every single investor needs a basic investment plan. If you don’t have an investment plan in place you may be hurting your chances of reaching important life goals such as retirement. Successful investment planning starts with a basic understanding of yourself. This self-awareness includes knowing how you like to make decisions, whether you like advice or you like to do-it-yourself, and what you will most likely do when the going gets rough and your investments face obstacles such as a market downturn. An important first step when investing for retirement is to understand your risk tolerance, which is essentially an assessment of how comfortable you are with an aggressive, moderate, or conservative approach to investing. To put your desired asset allocation plan into action, you must ask yourself a simple question — how involved you want to be in the day to day management of your investment portfolio? Do you prefer more of a “hands-on” or a “hands off” approach to investing? Hands-on investors usually prefer being more actively involved in the process of designing an investment portfolio for retirement. Other preferences usually include setting target allocation weights for different asset classes (stocks, bonds, cash, real assets, etc.). Other common activities that hands-on investors should be focusing on include regular monitoring and re-balancing of their investment portfolio. For example, hands-on investors may have a preference toward investing in individual stocks or actively managed mutual funds or setting up their own asset allocation (mix of investment types) of passive investments such as index mutual funds. Regularly research the details of individuals stocks, mutual funds, ETFs, or other investments. There are many options for do-it-yourself investors, including self-directed retirement accounts, discount brokerage firms, and low-fee financial services firms where you can invest on your own with or without an advisor. Hands-off investors are typically looking for a simple investment solution. Think about it as a preference for one-stop-shopping. As a result, hands-off investors are more likely to seek out pre-mixed asset allocation portfolios. Popular examples of investments that fit this category include target date retirement funds, asset allocation funds, professionally managed portfolios, or use of an online investment platform or so-called “robo-advisor”. These more hands-off investment alternatives rely on professional guidance to set the investment portfolio strategy and automatically re-balance. This approach tends to be a good suit for people who prefer a more "set it and forget it" approach to managing an investment portfolio and who only plan to make just a few minor changes over the course of time. Passively managed index mutual funds or target date retirement funds are popular investment options for hands-off investors because they do not require regular monitoring. Generally unfamiliar with the structure of individuals stocks, mutual funds, ETFs, or other investments. For the hands-off investor, consider using a low-cost, passive investment strategy that focuses on asset allocation (or how you divide your account across asset classes like stocks, bonds, real assets, and cash). This will usually work better than just trying to pick the top performers from previous years or dividing your contributions across each one of your investment options in a 401(k) plan. Another hands-off approach to help find a diversified portfolio that also provides professional guidance is to select an asset allocation mutual fund that fits your risk tolerance. 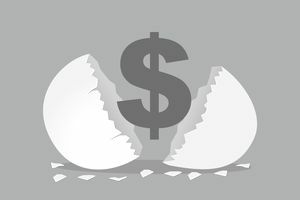 The downside of this static approach is that your risk tolerance may change as goals such as retirement near and you may need to adjust your investments gradually over time. As an alternative, a target date retirement fund provides a glide-path approach to investing that automatically adjusts to become more conservatively invested as you approach retirement. If you prefer having a financial coach, consider working with a fee-only CERTIFIED FINANCIAL PLANNER, a professional who is paid only by clients and not by commissions or brokerage fees. It is important to check your advisor’s background with FINRA or with the SEC if they are operating as a registered investment advisor. You should also check with your employer to see if they offer a financial wellness program that provides investment guidance or advice services. Will Warren Buffett's Retirement Plan Work for You? What is a Stable Value Fund? What Are International Equity Funds? What Is a Catch-Up Contribution? When Should You Consider a Roth 401(k)?